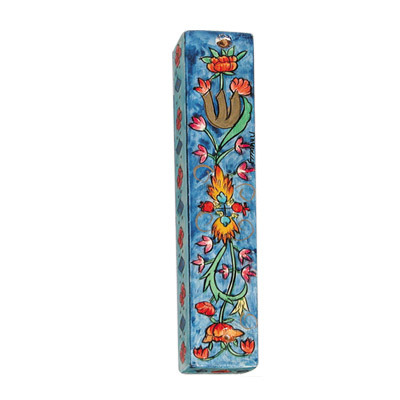 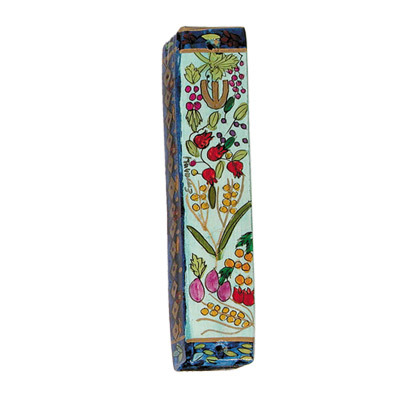 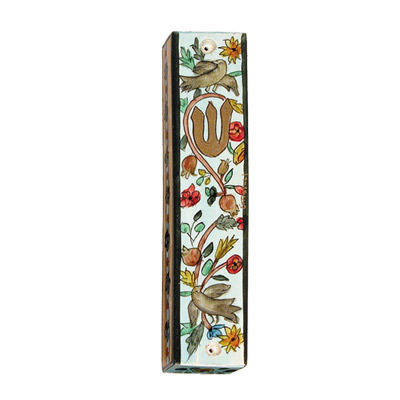 Yair Emanuel’s mezuzah cases are exquisite works of art that add beauty and color to the Jewish home and its entrance door. 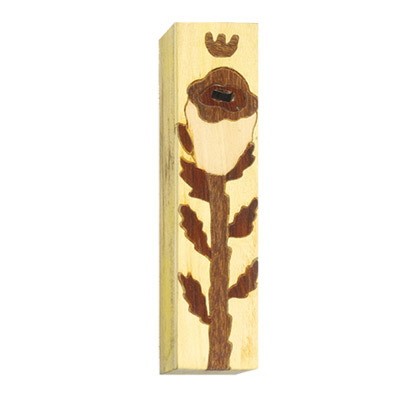 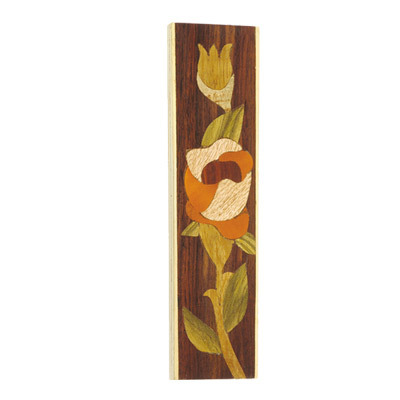 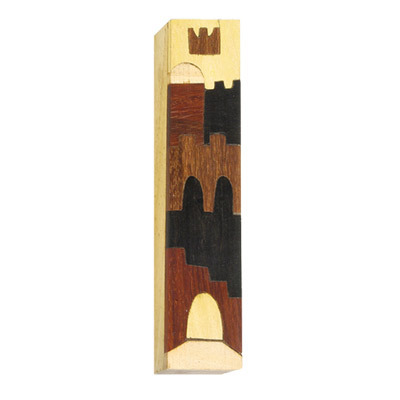 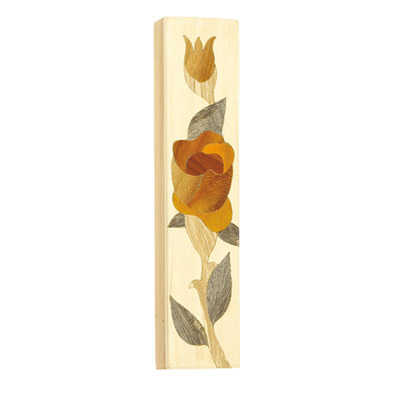 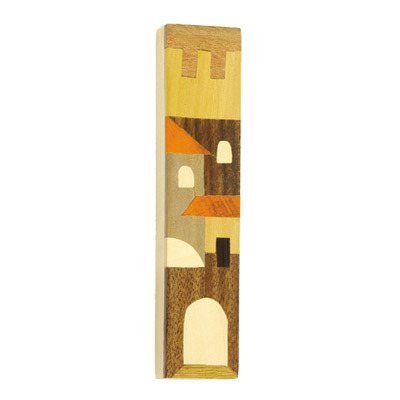 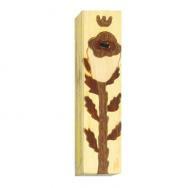 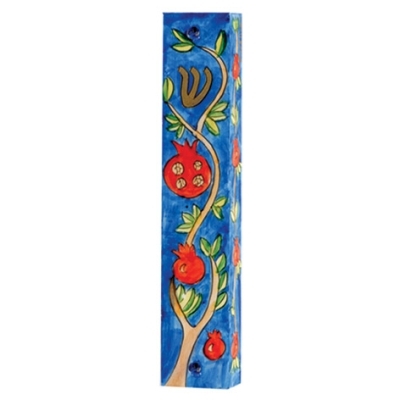 Emanuel’s mezuzah cases are manufactured in a variety of techniques, including wood painted in vivid acrylics, inlaid wood, laser cut aluminium and ceramics. 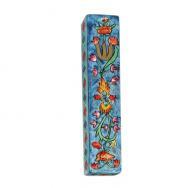 The cases are decorated with Jewish motifs such as Jerusalem, the Seven Species, flowers, pomegranates and oriental designs. 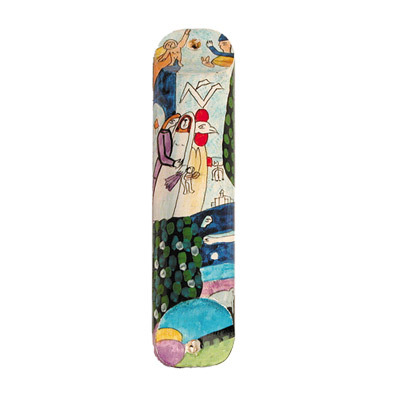 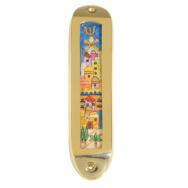 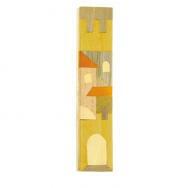 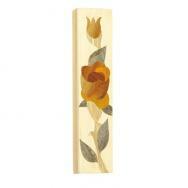 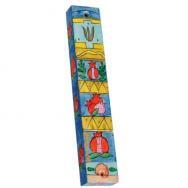 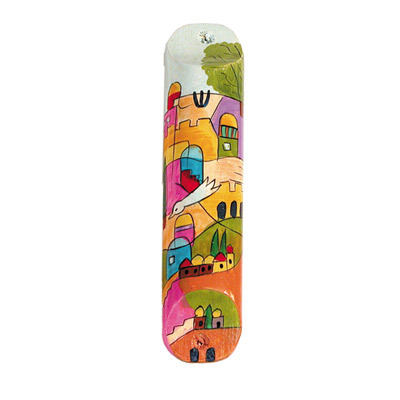 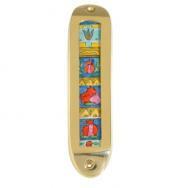 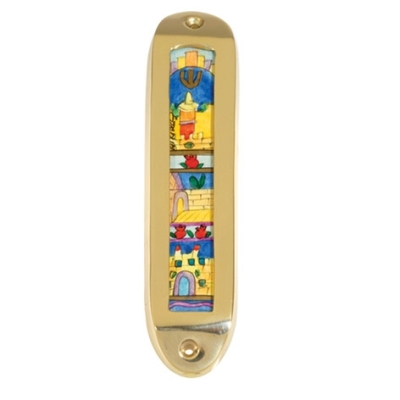 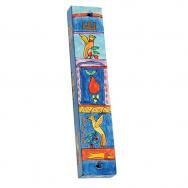 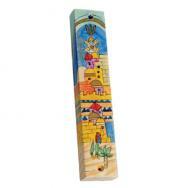 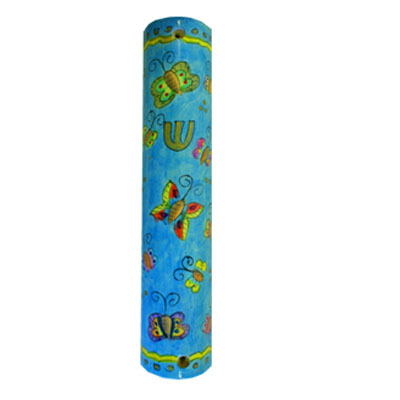 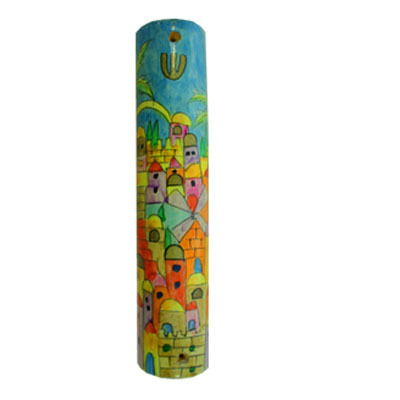 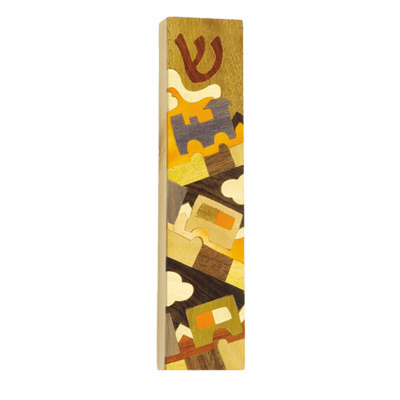 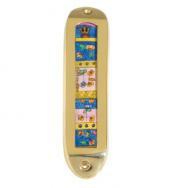 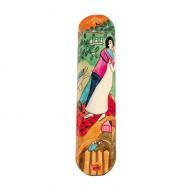 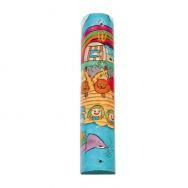 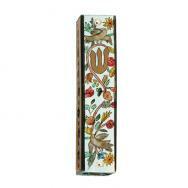 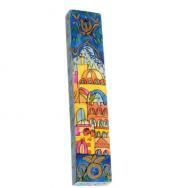 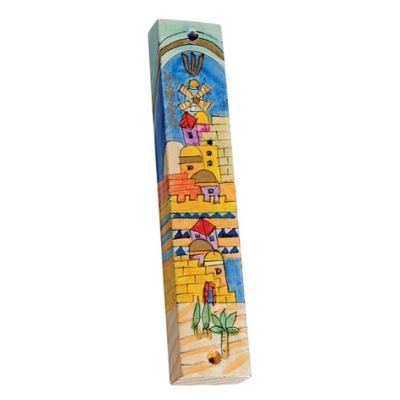 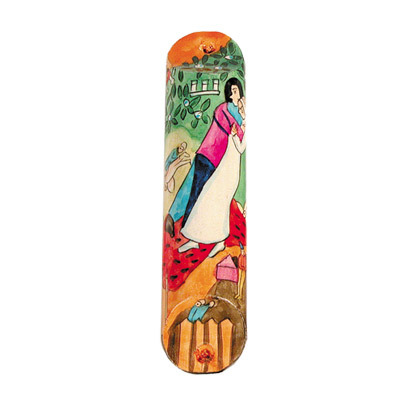 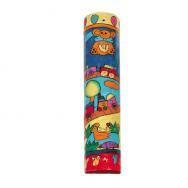 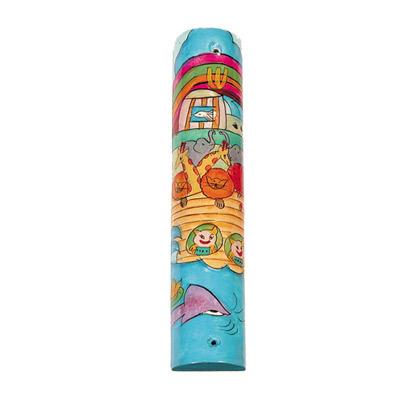 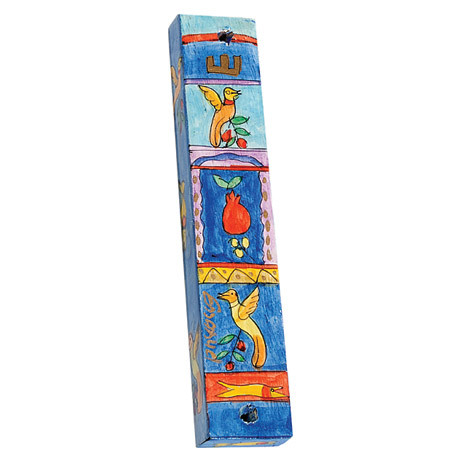 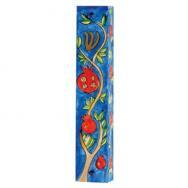 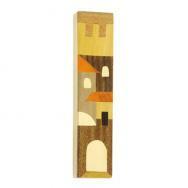 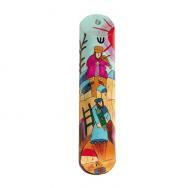 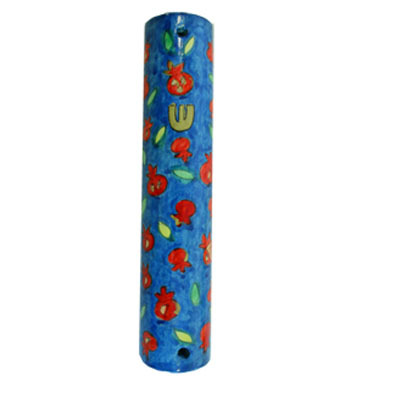 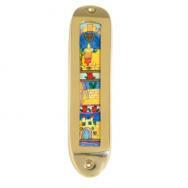 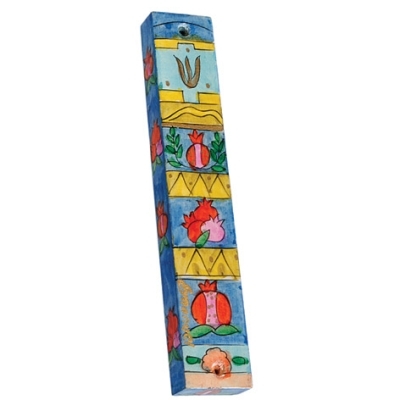 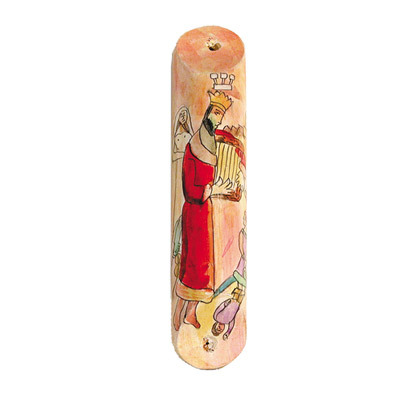 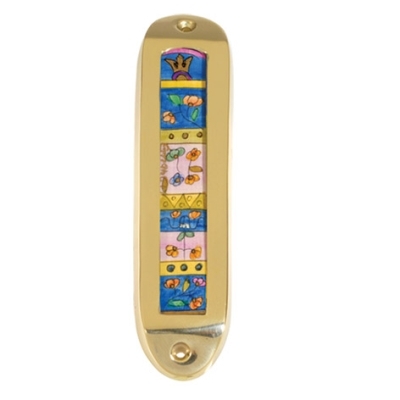 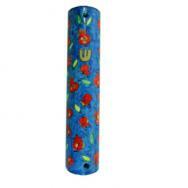 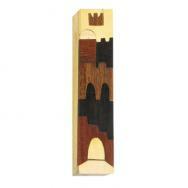 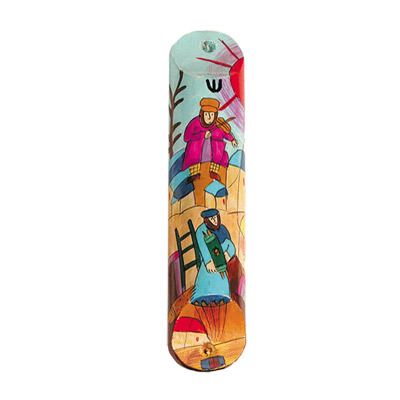 This colorful Judaica-art mezuzah is a warm and welcoming decoration for the doorway of any Jewish home.